We had learned about how America had gone into the Vietnam war because of Communism, as the North Vietnam wanted the government to become that way while South didn't. In many ways people say the Vietnam was actually technically not a war as well. We had gone into a deeper discussion about the Cold War as well, learning about what is a Cold War and why did we have a Cold War in the first place. 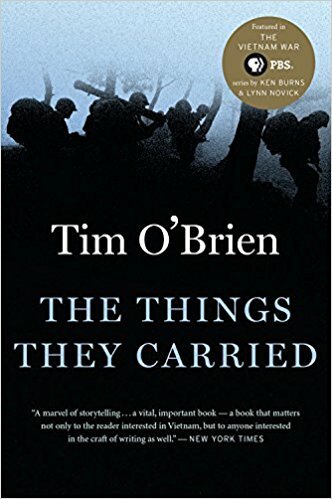 We also had a discussion about the book called, 'The Things They Carried' What told stories about being in the war and how to tell if a war story is fake or not. For example, we had a Socratic Seminar around the book and were given questions to discuss about the stories we read and which one we thought were real or fake during it, based around the information the Author (Tim O'Brien) had given us. Learning what he had learned helped us create an exhibition that was sensitive towards certain topics and not have any political issues occur during it. We had exhibited our learning by separating the exhibition into different rooms, each one showing something different that we learned but also a simulation for the people who came in away. The room I had worked was focusing on the protesting part of the war. We showed our learning through a video that was made, then the band in our room played songs from that time period made towards the war, and then we had posters up with captions of the pictures we hung up, and then we did a protest chant. One side being pro-war and the other anti-war. For example, we hung up posters that people had made during that time, to show what was being said. We showed our learning through different mediums. I had strengthen my skills in ways but also at times did not depending on the things. I brought things in for my group to use when having my concussion, then came in the week after even though I still was getting headaches or exhausted at times. There we definitely times where I would get snappy at people, for example towards Josh, and that is when I wasn't strengthening my skills. I feel like I had stretched myself by working on captions pictures and posters, even when I got brain exhausted I kept working. I could have worked more on my refinement for example in the posters, we redid them four times but it still could have been better. I did strengthen certain skills but not all. This project had changed me prospective on wars, as I'm really against the idea of violence solving our problems including wars. Only hearing and seeing everything that occurred from the eyes of someone in the army, I saw how it was hard for them and as to how it affected their life whence getting back. For example, when watching the Ken Burns Documentary and seeing the stories and perspectives through it, it made me less mad about what was happening, but still mad in ways. I will be taking my understandings through project if we have more projects based around wars, more so the Vietnam war. I'll also be having a different perspective when someone talks about their experience or opinions about wars in general.